For pearl and fashion lovers, you must hear so many different terms related to pearls that seem quite confusing. What are real pearls and faux pearls? What are freshwater pearls? How can I tell the difference and more importantly, am I paying the reasonable price for them? Sometimes imitation pearls are being sold for prices of real pearls under fancier names such as crystal pearls or Swarovski pearls, so if you are looking for your first piece of pearl jewellery, it is quite important to understand the difference and make sure you get a reasonable deal. Pearls have been around for thousands of years and are among the oldest ornaments treasured by us. 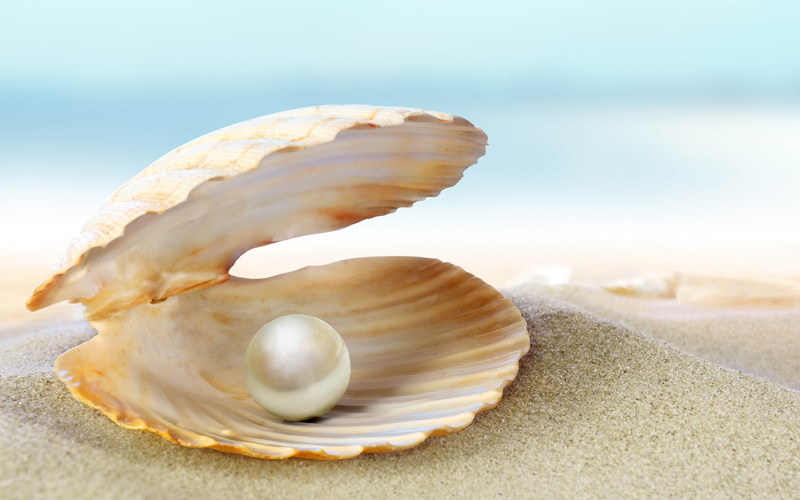 In the ancient times, the word 'pearl' had only one definition: the gemstone discovered from inside of an oyster shell. Pearls were incredibly rare and expensive - even more so than diamonds. However when a sought after treasure is high in demand and low in supply, there is one inevitable trend that grows with technology: we find better ways to discover, make or imitate that treasure. Over the years, we have gotten better at pearl diving techniques, making it more fruitful to discover natural pearls. We have also invited various methods of increasing supply of pearls, most importantly the pearl culturing techniques. The industries also came up with a number of ways to make imitation pearls which become closer and closer to real pearls. With all these wonderful development, the word 'pearl' is also getting more and more variations, to an extend that, these days you'd often come across a pearl related term and have no idea whether this is a real pearl or a imitation pearl. So what are freshwater pearls? Freshwater pearls, in the most absolute sense, simply mean that the oyster that produced the pearl live in freshwater such as rivers, ponds and lakes. Technically, a pearl could form naturally in freshwater as well. However, most of the time when you hear 'freshwater pearls' while you are looking to buy some, you are looking at 'cultured freshwater pearls' - since natural freshwater pearls are not really commercialised. Pearl culturing technique was invented by the Japanese entrepreneur Mikimoto, it involves inserting a nucleus into the oyster shell to trigger the pearl producing process, and then harvesting the pearl when it is fully formed. pearl culturing can be done by both saltwater and freshwater oysters, but as the process for culturing freshwater oysters are more economic and involve less risk, freshwater pearls tend to have a lower price tag than cultured saltwater pearls. Popular types of fashion pearls such as 'crystal pearls' and 'Swarovski pearls' are all imitation pearls - made with various man made materials to imitate the look of a real oyster pearl. 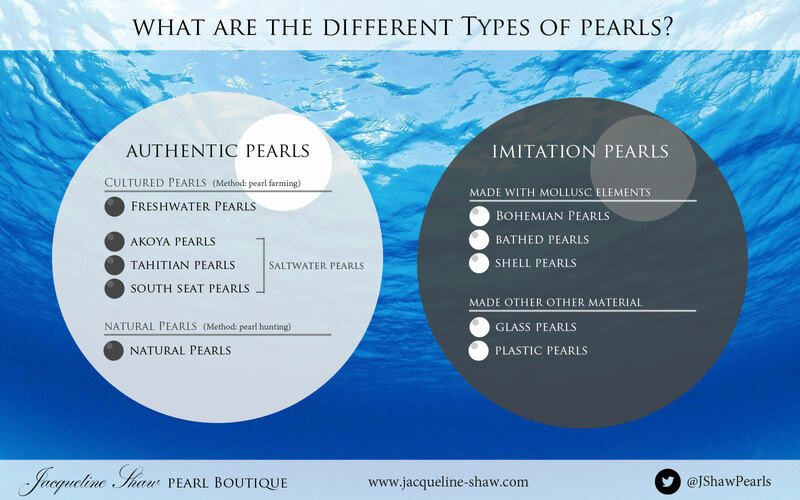 Most of the high street fashion brands in the UK and Europe use imitation pearls for their jewellery, and to get good deals for authentic cultured pearls the best way is to shop with specialist freshwater pearl jewellery brands such as Jacqueline Shaw. It is actually quite easy to tell the difference between real and imitation pearls on your own - real oyster pearls have a special quality that imitation pearls don't have: even though completely smooth to the touch, real pearls feel sandy if you grit them gently against your teeth; you can also check this by rubbing two real freshwater or saltwater pearls together for the same sandy feel - and if you look closely, a small line of power would appear where they've been rubbed, but you can wipe away the powder and see no trace left behind. Imitation pearls would feel completely slippery when rubbed together, and if you rub them too hard you would damage the surface permanently. Like this article? Follow us on Twitter and Instagram @JShawPearls for more pearl and fashion updates.